You are at:Home»News»Why Is Bitcoin Surging? If you read from my previous posts, I gave the reasons why I believe Bitcoin continues to surge in price. Today, it got as high as $19,600 and it appears that it is approaching $20,000! 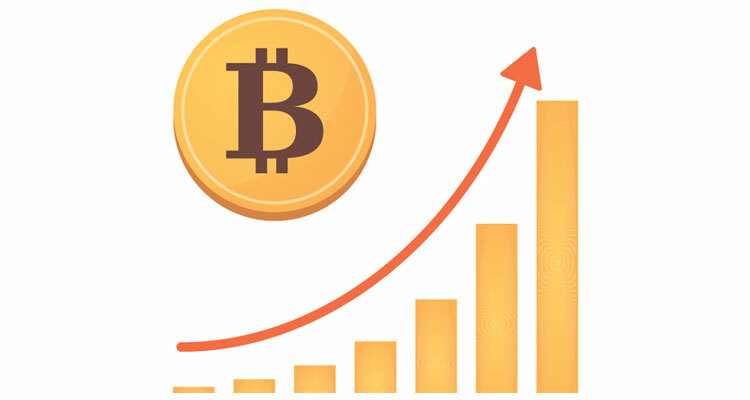 Why is Bitcoin on an upward climb? Will it continue to climb or will it go down? Should you sell or buy you Bitcoin? Well, lets first talk about why the price of Bitcoin is going up. As I stated in my article “Bitcoin Futures Approaches!” dated December 10, 2017, that the reason would be the upcoming Bitcoin futures launch by the Chicago Board Options Exchange (CBOE) on December 10, 2017, and the Chicago Mercantile Exchange Group (CME) on December 18, 2017. In that article, I stated that these futures launches will spark tremendous interest in Bitcoin by BIG “institutional” money (Hedge Fund Managers) waiting to jump on to the “Bitcoin Bandwagon.” The CME Group’s Bitcoin future launch will occur on Monday. (The CME Group is much larger than CBOE and it will have a larger impact on the price movement of Bitcoin). More interestingly, not only will these “Big Boys” be throwing their billions of dollars into Bitcoin, savvy investors like you and I will want to get in on this. So what is happening now at the futures-pre-launch, is that many of us “regular guys and gals” are buying Bitcoin in anticipation of a Bitcoin price boost. Come December 18, 2017, and beyond, a lot of that BIG institutional money that is sitting on the sidelines will get in. So, should you sell or buy your Bitcoin? First of all, let me state emphatically: DO NOT SELL! Secondly, if you are able, buy more Bitcoin; even if it is a fractional share of one. Thirdly, if you hold onto your Bitcoin. Sell a portion of it only if you need cash for some urgent need. Lastly, hold on because I believe that we are going to be in for one hell of a ride going into 2018.